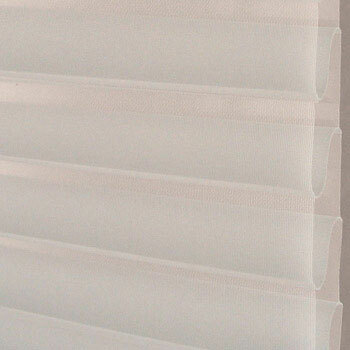 The most popular and growing category of window covering options include window shadings, sheers and light louvers. All three of these products are made from fabric and offer the ultimate in light control. Their versatility can provide complete privacy without complete darkness by simply adjusting the vanes for the desired amount of light. Shadings, sheers, louvers and panels are made with a wide selection of soft fabrics, including opaque and translucent materials. 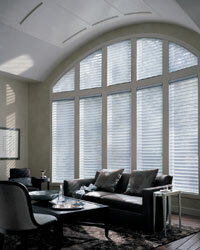 Window shadings, sheers and louvers are extremely versatile and can be installed in almost any room in the home. These products blend all the advantages of draperies, shades and blinds into one design. Vertical sheers work particularly well on large window patio doors or on window walls. One of the newest window covering designs in this category is light louvers. This new window fashion has a similar look to traditional wood shutters, but has honeycomb louvers that function much like a blind. Light louvers are made of durable fabric and come in either a translucent or room darkening style. Many colors and pattern combinations are available. These products can be installed with an inside or outside mount depending on the window molding and sill construction. Vertical sheers also come with option of right, left or split stacking configurations.